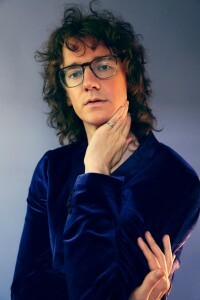 Best known for his portrayal of suburban alpha mom Gayle Waters-Waters in his hit web series GAYLE, Chris Fleming is a comedian who has appeared on Tosh.0, the Doctors, and has been written about in Forbes, LA Weekly, Huffington Post, Cosmopolitan, and the New Yorker. In 2017 he toured the country with his standup show Showpig, which was featured in the Montreal Just For Laughs Festival, and streamed live from Chicago over Facebook in December. He currently has over 39 million views on his YouTube channel and over 39 million video views on Facebook. Chris reaches around a quarter-million subscribers each on both Facebook and YouTube. Chris’s widely popular YouTube show GAYLE is a comedic web series chronicling the misadventures of Gayle Waters-Waters, a hyper-competitive, stay-at-home mother, fumbling her way up a self-imposed suburban ladder. In her manic quest for “cul-de-sac cred,” she creates chaos and panic in the household at all times and is going to win ‘mother of the year,’ no matter the cost. Chris is set to appear in the upcoming Netflix film LAST LAUGH, the upcoming season of CORPORATE (Comedy Central), and is lending his voice to Netflix’s animated series, TWELVE FOREVER. He is back touring the country with his new show in 2018, including stops at campuses, festivals and theaters across the US, UK, Canada, and Australia.